UPDATED 28-08-2018: Added guidance to send message to specific client and not just for all + more screenshots on how _signalContextHub was added. 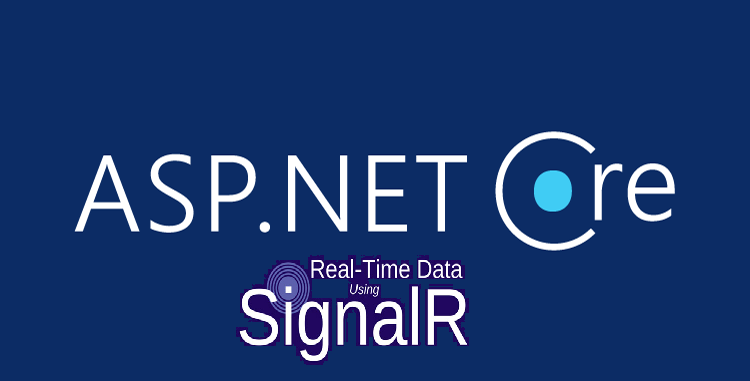 This is a small blogpost explaining how to use SignalR for ASP Core 2.1 to send a message (or a signal 🙂 ) from the server (controller action) back to the client view. Alot of posts explains how to make various bidirectional chats using SignalR to send messages from client to the server (from view to controller and back again), but the other way around (from server to client) is useful if you want to show progress bars or start a long running task while continually report to the user how it’s going. The first part is making the connection and starting it, the second method is the listener to which we can send messages to from the server instantly! So instead of sending to all clients, you can send to the calling client with a specified connectionId. The challenge is to get the connectionId – for some reason the connectionId cannot be obtained from the client to start with, you have to call the hub class and get the Id and then pass it on to the controller. This idea came from an answer from stackoverflow here. If you are using authentication on your website then it gets a little easier because you can use the signalr inbuilt User or Group methods. I’m using a .then here to make sure that connectionId is called after the connection is started. Otherwise it would run async and we could get an error. Hope this was helpful to get you started with SignalR at least. There are alot of posts out there to cover more complex scenarios. thanks for the great post. Exactly what I was looking for. I followed your steps to set up the server and the client. I can successfully establishes the connection but when I try to send a message there are no registered Clients in my hubContext. 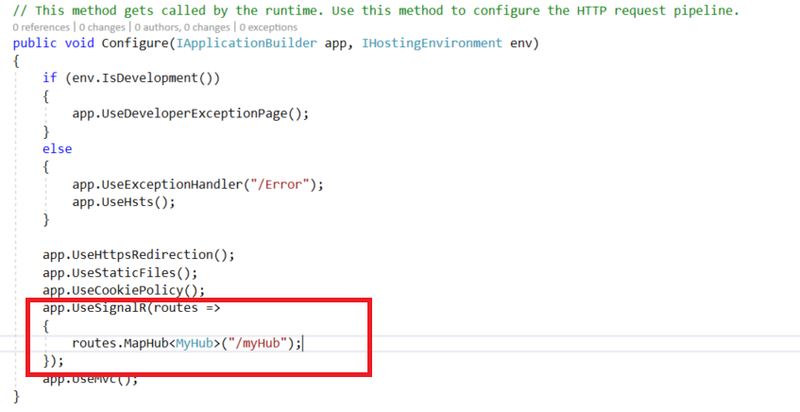 I am injecting the hubContext into a transient service via the constructor. Everything else looks exactly like you posted. Could this be an issue? thanks for the great post. Exactly what I was needing. I set up the server and client exactly as shown here. I have esablished a connection but I have no registered clients in my hubContext. The only difference seems to be that I am sending my message from a transient service where I am injecting the hubContext via constructor. sorry for very late response, if you still have trouble send me an email with the code. I use scoped service but shouldn’t be a problem.